Our Farm Shop Café was awarded a silver rating in the West Sussex ‘Eat Out Eat Well’ 2017 - 2018 initiative. 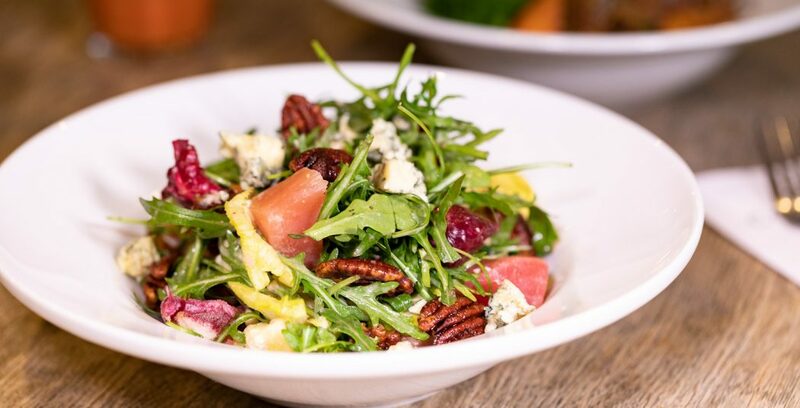 Our Farm Shop Café serves breakfast, sandwiches, snacks and substantial meals made from scratch using traditional artisan techniques as well as the best Cowdray and local produce. 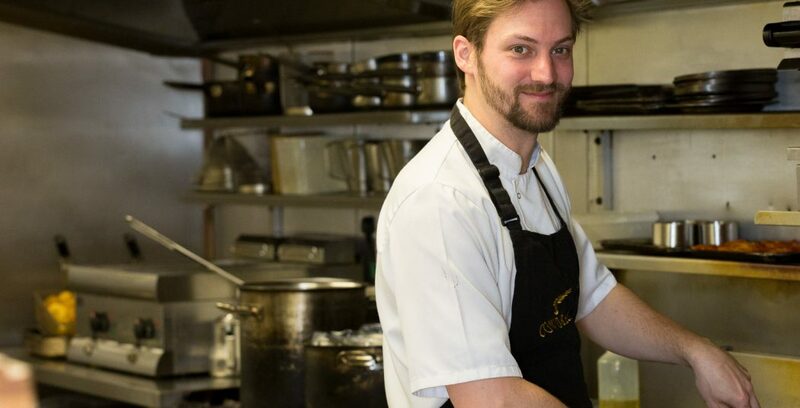 Our Head Chef, Ben, and his team freshly prepare all the food which is served in the Farm Shop Café. We use local suppliers where possible such as Nutbourne Nurseries for our tomatoes (seasonal) and asparagus from Rogate. Most of the beef and the lamb and all the venison is Estate reared. The chicken served is free range. Daily specials are displayed on the blackboards in the Farm Shop Café. Our Farm Shop Café seats 40 people inside and there is exterior seating on the terrace with a large heated umbrella, popular with dog walkers in the winter months. Dogs are welcome outside the Café and water bowls are provided. You can even treat your dog to one of our homemade dog biscuits. There is extensive parking, wheelchair access and free Wi-Fi. Healthy food to enjoy on the go! 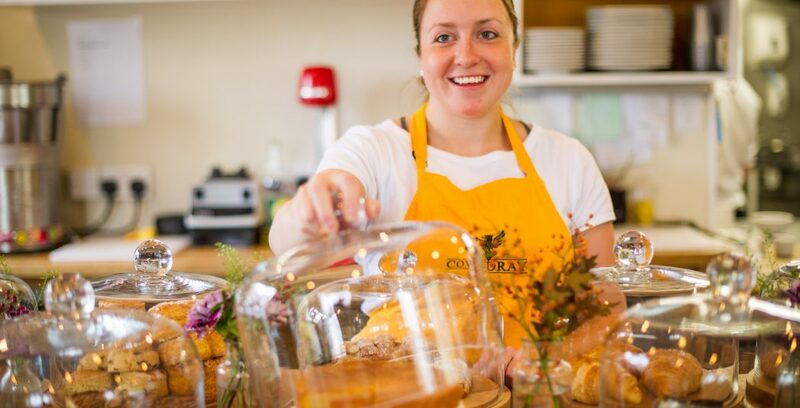 Cowdray Express serves freshly prepared healthy food, Barista coffee, smoothies and juices to be enjoyed 'on the go'. Located across from the Farm Shop & Café, it is open at the weekends and Bank Holidays. We serve afternoon tea daily until 4.30pm. 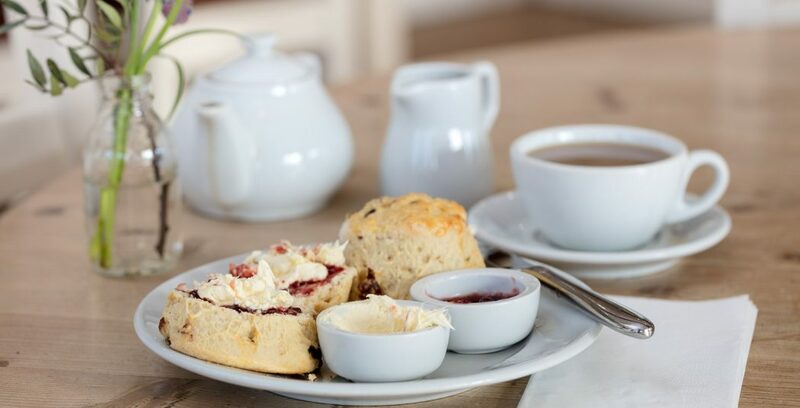 A Cowdray Cream Tea consists of two homemade scones, Riverford organic clotted cream and strawberry jam served with a pot of tea for one. Sandwiches and other light bites are also available.